Treex::Web is simple web frontend for running Treex applications from your browser. 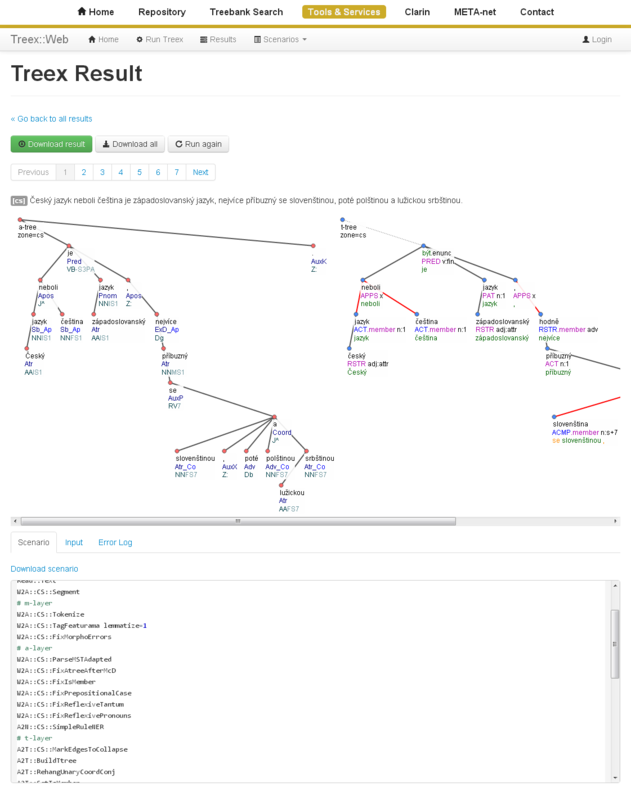 Treex (formerly TectoMT) is a highly modular NLP framework implemented in Perl programming language. It is primarily aimed at Machine Translation, making use of the ideas and technology created during the Prague Dependency Treebank project.